Most people don't know that I've been volunteering as a proofreader for Project Gutenberg for around a year now. I've been doing it on a casual basis--whenever I have some spare time on weekends and such. This online volunteer community where I belong is called Distributed Proofreaders, and our task is to proofread and convert public domain books into e-books. After multiple rounds of proofreading, formatting and post-processing, these books are finally submitted to the Project Gutenberg (PG) archive to be preserved--forever, we hope! Distributed Proofreaders (DP)'s concept is simple: to speed up the conversion of thousands and thousands of books into digital form, volunteers can work together on a book at the same time. That way, a book can be proofread and submitted into the PG archive faster than if it were just a one person-one book assignment. 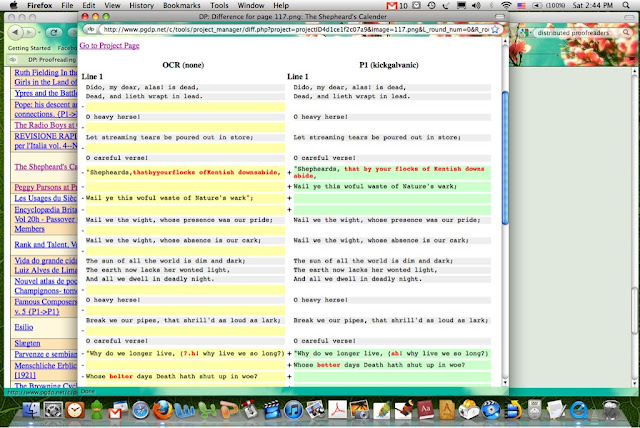 Workload is divided into pages; all the community asks of you is to edit at least a page a day. More than one, if you can. My best day ever was when I did 15 pages straight. One can't proofread too much in one sitting (unless you're used to it) due to eye fatigue and a subsequently increased likelihood of committing proofreading errors. The objective isn't to correct or change the meaning of the text at all (what a big no-no) but to proofread and format it in such a way to make it ready for e-book conversion. We're not talking about just exporting books into PDF and such. The e-book formatting process isn't as simple as that. 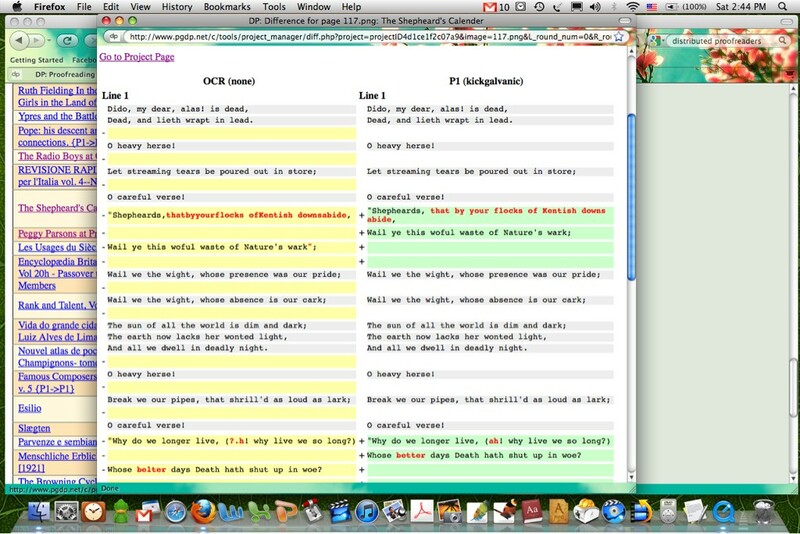 This online project is such a completely organized system, with all the proofreading and formatting guidelines listed down. There's even a handy one-pager guide for quick reference. Every newbie starts off at the Proofreading Round 1 (P1, for short) level, and has to work his/her way up to the next levels. To graduate from P1 alone, you need to proofread a minimum of 300 pages AND pass a proofreading quiz. I like how I can see my personal stats on the DP site--stats such as my overall ranking (my kingdom for a top 10 spot in DP someday! ), how many pages I've completed per day, which book projects I've worked on, and how many more pages to go in order for me to move up to the next level. But the best thing about this project, really, is that I get to read while editing. DP volunteers are encouraged to work on just around five pages per book and then move on to another book. This is a wise strategy, because you need to have everyone focusing on getting batches of books ready for e-book conversion. Plus, one needs to try out different types of texts in order to be more exposed to various proofreading challenges. But even if editing five pages per book would mean just literally reading snippets of a text, I find the task enjoyable. It's like reading all these mini stories in one sitting. It's a nice feeling to get an email notification from DP every time a book I've worked on in the past has been submitted to the Project Gutenberg archive. Not every person downloading and reading that novel on his/her e-reader device would realize that dozens of individuals actually proofread and transformed it into an e-book that he/she could enjoy. I always feel like I gave birth somehow (along with the rest of the volunteers) and sent a book out into the digital space for it to be forever preserved and appreciated. I like to think it's the romantic modern-day equivalent of monks copying and illustrating these manuscripts commissioned by kings and influential individuals in their time. A labor so sacred and profound. Here's what I'm plowing through right now. Not the most accessible sort of reading out there, but Joseph Campbell will always be a favorite of mine. 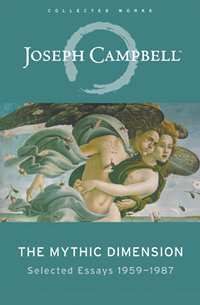 The Mythic Dimension is a collection of Campbell's essays on myth (as always!) 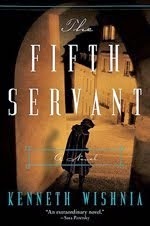 and serves as a precursor to the heftier yet more elegantly-written four-volume The Masks of God. So if you're a fan of the latter, then reading Mythic Dimension is like going through Campbell's early musings. The cover of the book is a detail taken from Sandro Botticelli's The Birth of Venus, which is an amazing 15th century painting housed in the Uffizi Gallery in Florence. I feel lucky to have seen this painting up close when I visited the Gallery back in March 2010. Side note: I've just downloaded a copy of Werner Herzog's documentary 'Cave of Forgotten Dreams', which I think will be perfect complementary viewing while I read Mythic Dimension at this point. Was reading Campbell's Primitive Mythology (volume one of The Masks of God) around 5 or 6 years back and I remember thinking to myself at that time how good it would be to see those Chauvet caves--which contain the oldest known cave art--in a NatGeo documentary or something. Hooray for wishes that come true eventually. Wow, I really need to start writing in this blog again. I guess having Facebook and Twitter these days got me feeling super lazy to write something longer. My last unfinished blog draft (see below) was written back in November 2010. A whole year gone unwritten. Hope I find the time to blog again. Why? Why can't I seem to drag myself away from the temptation of buying new stuff for my skin? This is an evil, evil addiction. Just last Wednesday evening, I wandered into Jurlique, with the innocent intention of just checking out their hand creams. 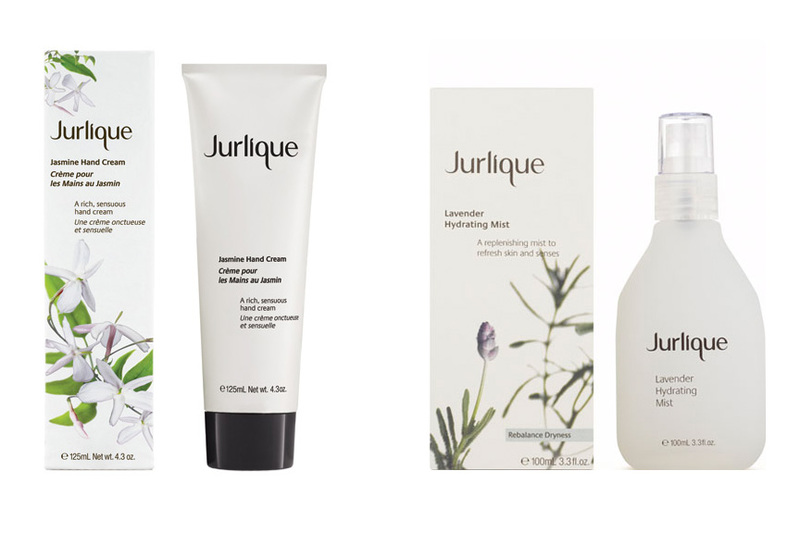 Then I happened to try Jurlique's Lavender Hydrating Mist and, well, I ended up reaching for my wallet to buy this product. Which is basically herbal-scented water to hydrate the face. Or to describe it in Jurlique terms: "A replenishing mist, rich in the living energy of lavender and marshmallow to hydrate, tone and soothe. Leaves the skin refreshed. Ideal for rebalancing dryness." Not sure exactly how marshmallow root extract helps moisturize the face, but the nice thing about Jurlique products is that their stuff really works. It may just be lavender-scented water to non-believers of Jurlique, but this Lavender Hydrating Mist works like a charm.